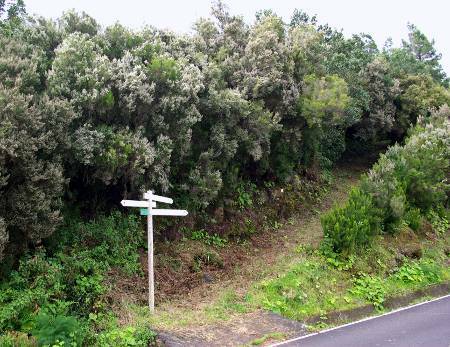 All the heather trees are in bloom along the road to the Roque de los Muchachos. Yes, heather trees. 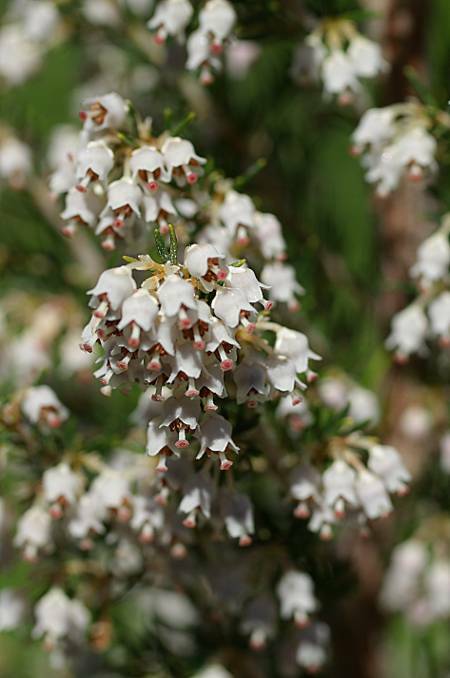 Canarian heather (Erica arborea) is close relatives of English and Scottish heather, but it’s a tree, growing anything up to 5 m tall. The tiny leaves are very like English heather, and the flowers are much the same shape, but always white. The wood’s very dense and hard, so it’s good for things like knife handles. It’s also a favourite for wood-burning stoves, because it produces a lot of heat and not much smoke. But mostly I like it because it’s so pretty.